A common misconception about remodeling your kitchen is that you need to tear out and completely change everything to transform the space. Oftentimes, it only takes a few kitchen updates to make a big difference in your kitchen. 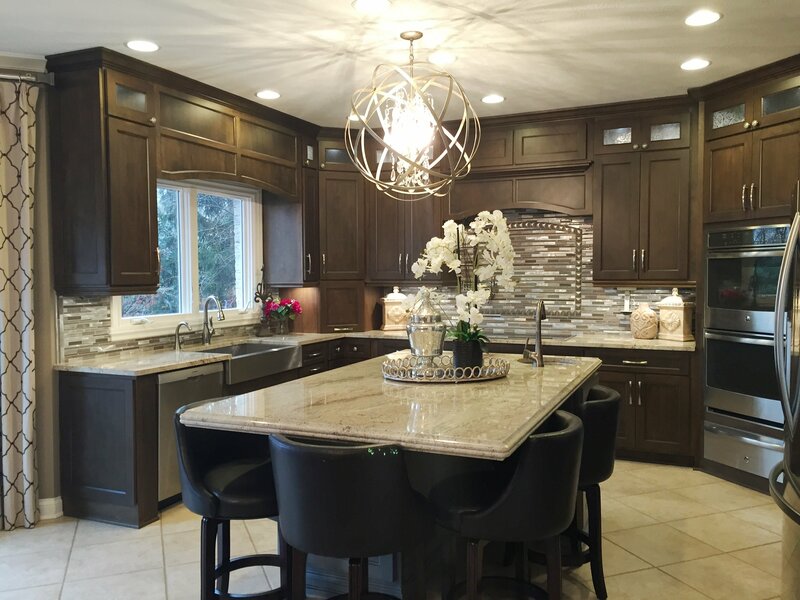 My team recently completed a project with Nyla Kurtz of MD Dezinz in which three kitchen updates made a world of difference. 1. CABINETS: One of the biggest changes we made was to the cabinets. We chose a darker wood, which contrasted nicely with the lighter floor. This change gave the room a fresher, more modern feel. We also added significantly more storage and accessibility. 2. 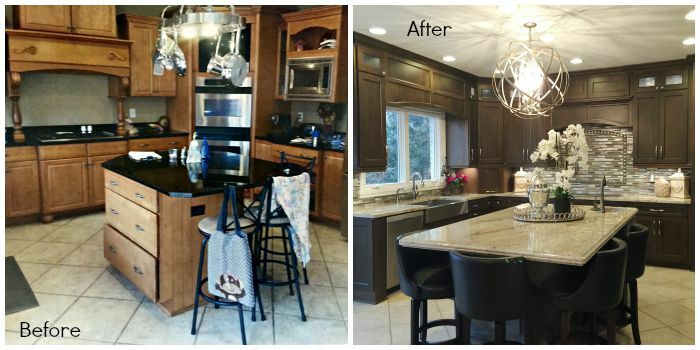 COUNTERTOPS: We switched to light granite counters to stand out against the new darker cabinets. We also extended the length of the center island, creating more space for seating or food preparation. A new light fixture overhead adds some unique style. 3. BACKSPLASH: The final big change was the backsplash. This area was very dated and in dire need of an upgrade. 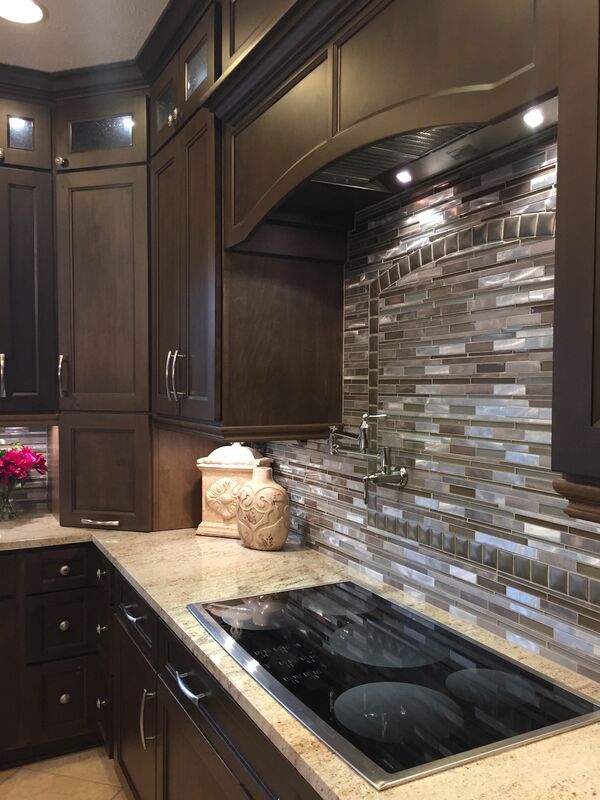 We went with a lovely tile pattern that creates a focal point and makes the kitchen look longer. We also added some lighting under the cabinets to really show off this area! When you put the “before” and “after” side-by-side, the difference is amazing. With just a few major updates, the kitchen is completely transformed. It doesn’t even look like the same room! Think you don’t have the time or budget for a transformation? Think again. We’d love to talk with you about remaking your space into something new. 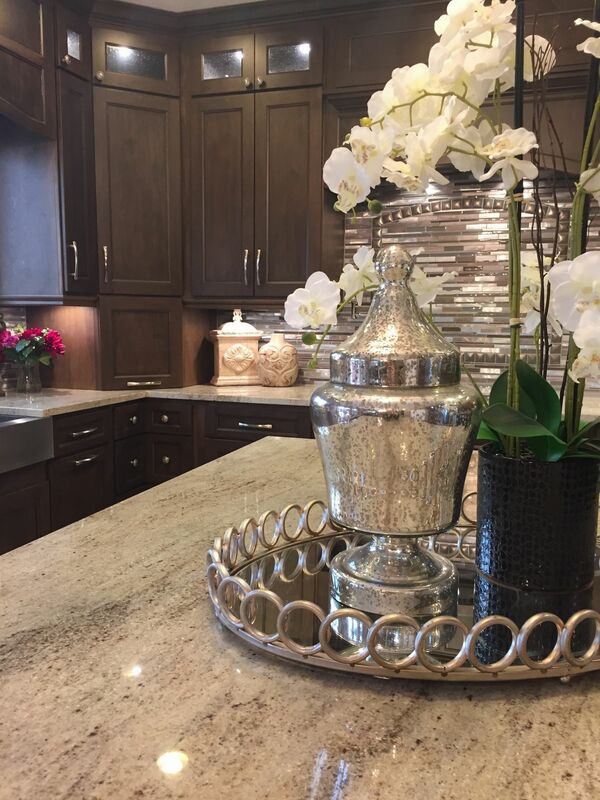 Contact us with your questions, or stop by our showroom to talk with a member of our design team. Also, be sure to check out our schedule of upcoming events – they’re a great place to ask questions and learn what’s new in the world of kitchen and bathroom remodeling. Want to see more of our past work? Check out our photo gallery, or follow us on Houzz.